That phrase about having your health means you have everything doesn’t seem to faze anyone until you become very ill. At least that has been my experience. I have had the privilege of meeting so many wonderful souls that are going through so many physical challenges. The one common denominator we all share is this…..your mind is sharp, strong and ready to go but you body just won’t cooperate. It is a most frustrating experience. I have been ill for most of my life and I have to say it has its upsides too. I am able to go everywhere and do everything I want in my mind. Some may call it fantasy, imagination or just daydreaming. For me it is planning. For the last ten years I have had a total of fourteen good months. In those times of wellness I work and create as fast as I can just in case. It turns out all those fantasies and daydream were actually plans put into motion just by having the imagination to see them. Some call it the power of positive thinking or putting it out there. What ever you call it, I can attest it works. My success has come in fast and far-reaching bursts. It’s like God makes up for my lost time by hurling my work into the spotlight. For this I am so grateful. I am sure the moment I am feeling up to speed again I will be given wings to fly as fast as possible to make up for the last few months. I had one good day, today, so watch out, I just might be soaring sooner than you think. (Thank you all for your patience). 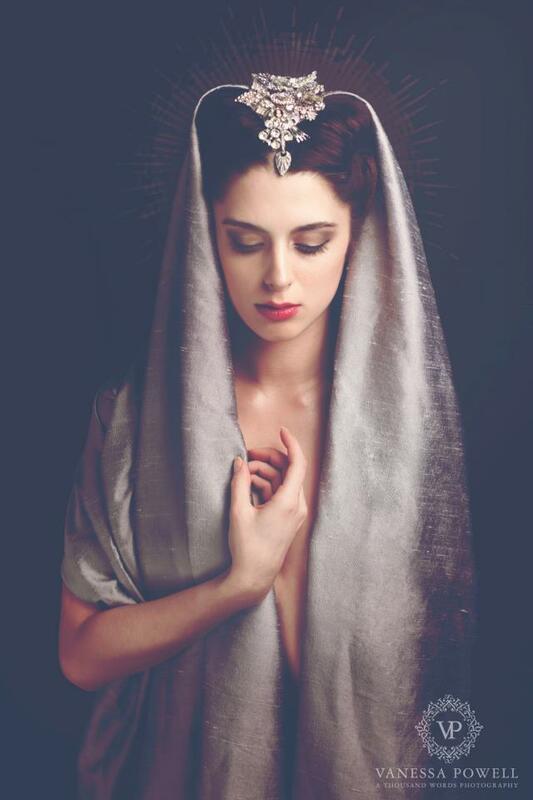 This beautiful photo was shot by an amazing artist with one of my necklaces as a headpiece. A most stunning work of art. You can see more of her work here….